Being a patent attorney can be a very rewarding career and the salary increases can be frequent and significant as you progress through the examinations. 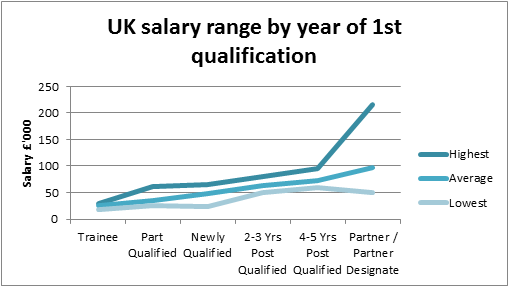 In UK private practices, salaries are by and large linked to qualification status until the point you have qualified. 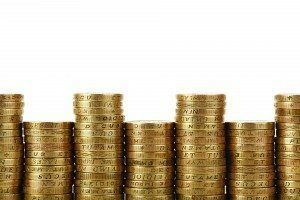 Although in some instances, there can be differences in starting salaries for different technical specialisms depending on supply and demand. For example there was a recent trend for attorneys with an electronics background to earn more than their counterparts, although this seems to have subsided in the last 12 months. Patent attorneys do not move positions very frequently and salaries tend to increase in bursts. The market rate for a newly qualified attorney is around £60-65,000 but as you can see from the table below, salaries for attorneys who stay within the same firm can lag behind what they may be able to achieve on the open market. However, ‘newly qualified’ is to some extent ambiguous as some firms give a significant increase to their attorneys when they qualify in both Europe and the UK, others when they qualify in just one of the two jurisdictions. * These amounts are reflective of people who are Partners on a fixed remuneration (be it salary or self-employed fixed share), Equity Partners i.e. 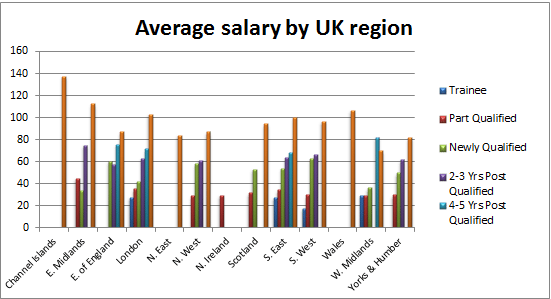 those who own a share of the firm could earn salaries/profit shares running into hundreds of thousands of pounds. 50% of the respondents receive 25 days holiday per year, with 25% receiving more than 25 days annual leave (7% receiving more than 30 days), and 18% receiving less than 25 days. ‘Other’ included: members’ club membership and regional living allowance. 75% of respondents have their professional memberships paid for with 56% receiving private healthcare of some variety, as well as 52% receiving life insurance or a death in service benefit. 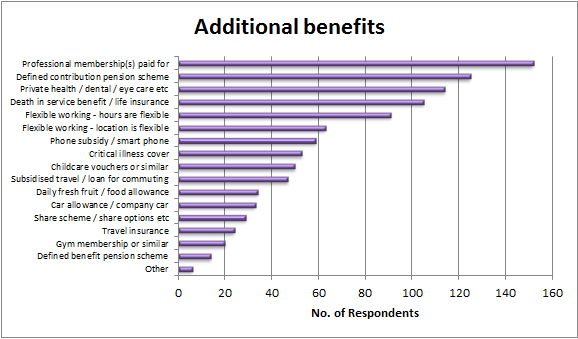 A substantial number, 69% (2015: 70%), of respondents receive a pension of some sort, of which 7% (2015: 13%) have the elevated status of receiving a defined benefit pension (final salary scheme). Being a patent attorney can be very financially rewarding and the chances of reaching the higher salaries are very good in comparison with other professional services sector positions. There is excellent job security and more often than not, there are more open positions than there are people to fill them (although getting into the profession in the first place as a new trainee remains very challenging).